VIXX Ravi and girlfriend Eunha showed off their couple chemistry in the pictorial. 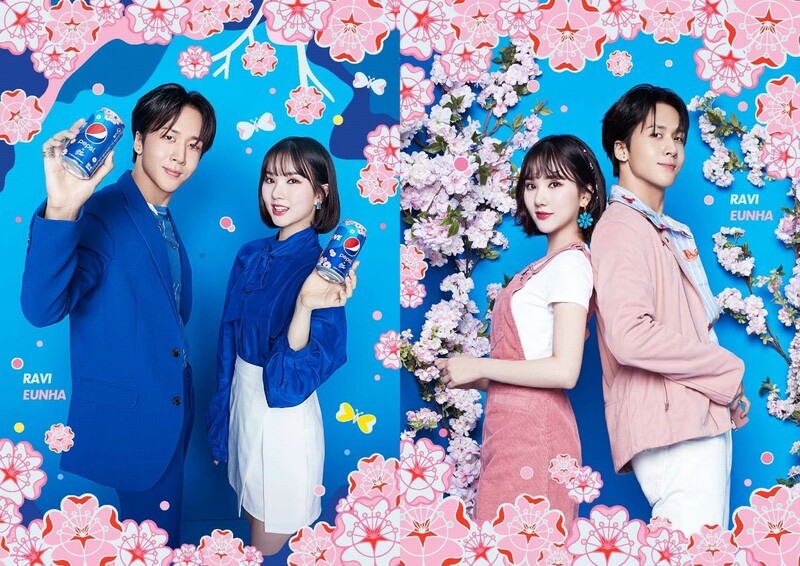 On 27, global brand Pepsi released a conceptual pictorial of the 2019 Pepsi K-pop collaboration project, which was joined by VIXX Ravi and GFRIEND Eunha. In the two concept photo, VIXX Ravi and girlfriend Eunha presented as a lovely couple, showed chemistry with a sweet and refreshing charm. Ravi and Eunha then put their backs on each other in a pink dress that looks like a cherry blossom in spring and performed a lovely and sweet look, raising the excitement index of their lovers. The photo resembles spring, is said to be a perfect match for the two idol groups representing the K-pop, and that they continued to laugh at the scenes due to their overflowing energy. The spring episode, the first of the Pepsi Korea 2019 K-pop collaboration project, will release the title track "BLOSSOM," which includes VIXX Ravi, GFRIEND Eunha and Groovy Room, under the keyword "FOR THE LOVE OF IT." "BLOSSOM" tells the story of men's and women's tingling and splashing emotions and challenges for what they love, while Ravi has appeared as an art teacher in the music video and Eunha as a part-timer at a hamburger restaurant, which is expected to offer another kind of warmth and chemistry following pictorials. The title track of the 2019 Pepsi K-pop collaboration project "BLOSSOM" will be released at 6 p.m. on April 11.